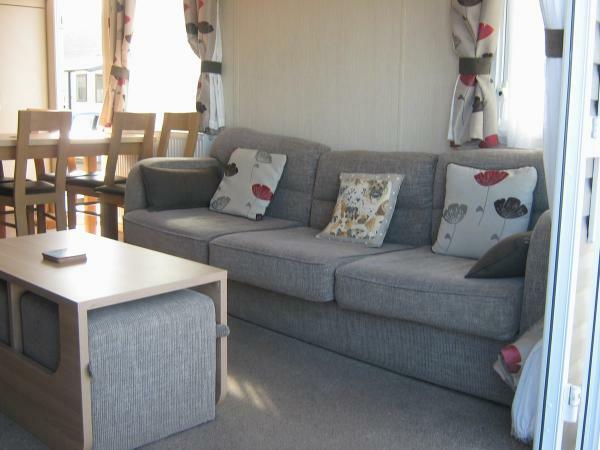 This caravan is on a lovely pitch and stands in its own right as a superb holiday destination. For those who do require access to Haven entertainments passes can be easily purchased from reception. 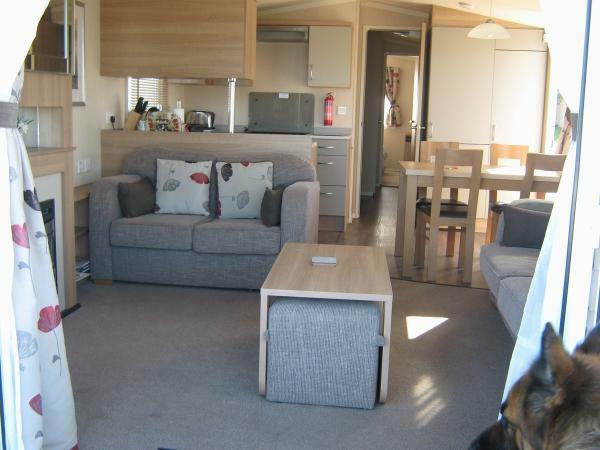 This three bedroom luxury caravan is located next to my other caravan at the very popular 'Waterside' development. 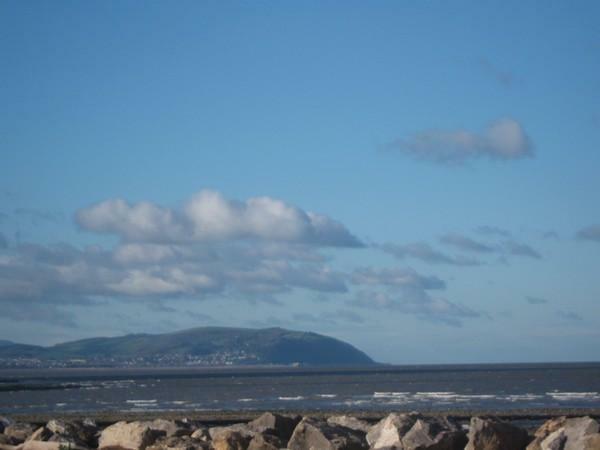 It is just a few metres from the shore and has beautiful sea and coastal views. It it is also very convenient for the entertainments and particularly handy for the pool. 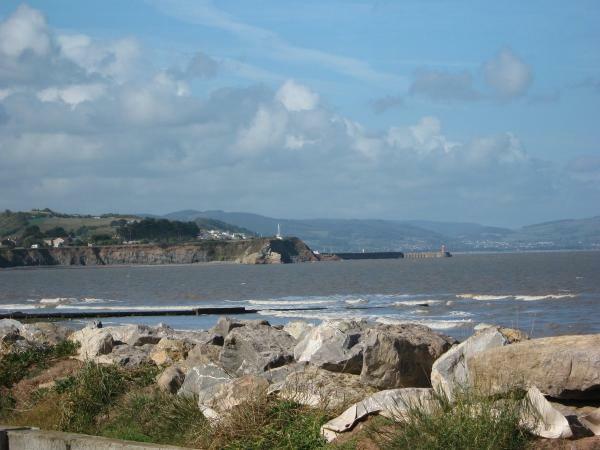 It is also less than 50 metres from the steps which access the beach. 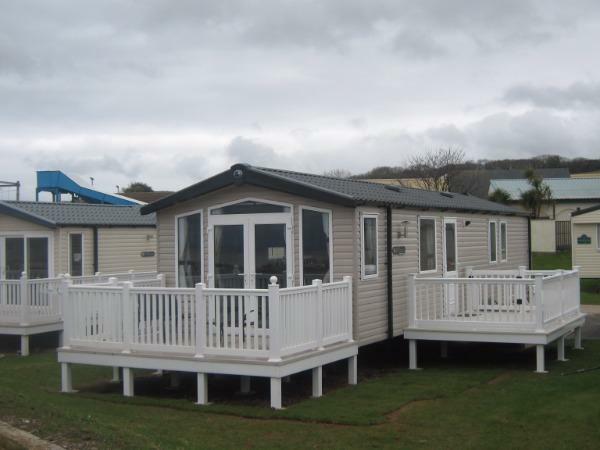 There are two decking areas one to the side of the caravan and the other to the front which is accessed via patio doors, both decking areas have patio furniture. The lounge has four seater and a two sofas and a coffee table with two footstools beneath. It is heated by a gas fire and a central heating radiator. There is a 32 inch television. The kitchen is well equipped with ample worktop space and cupboards. 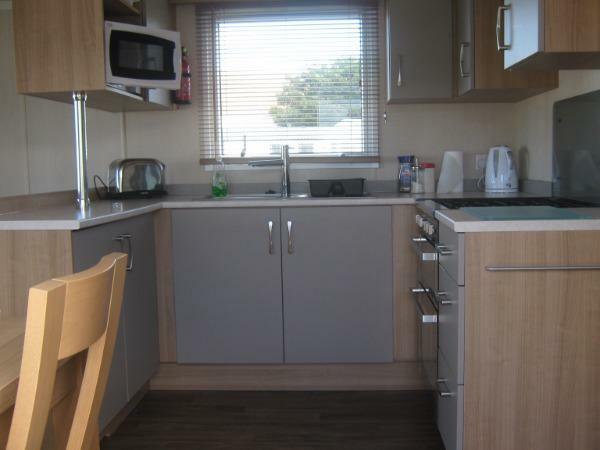 There is a gas cooker a microwave oven a full size fridge/freezer and table with six chairs. The master bedroom is spacious with ample wardrobe space and dressing table, it also has an ensuite with toilet and wash hand basin, there is also a television. There are two further bedrooms both with twin beds. 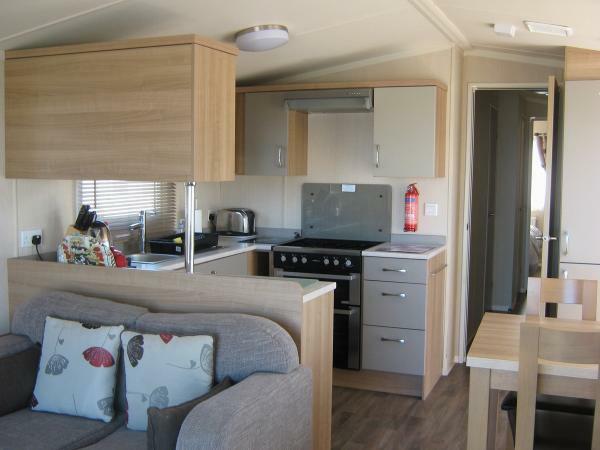 The caravan benefits from full double glazing and gas central heating. 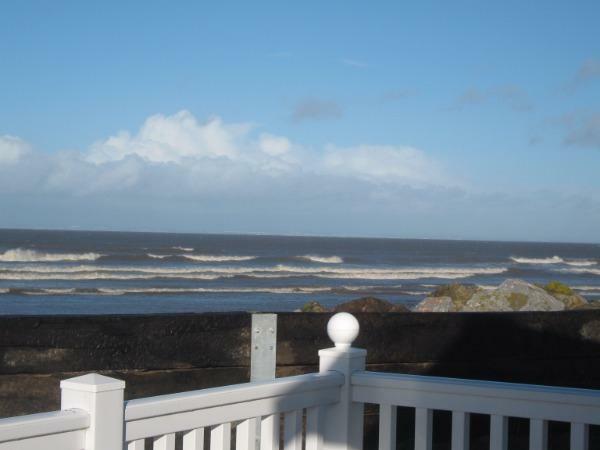 Thank you terry and Julie for sharing your holiday home with us. 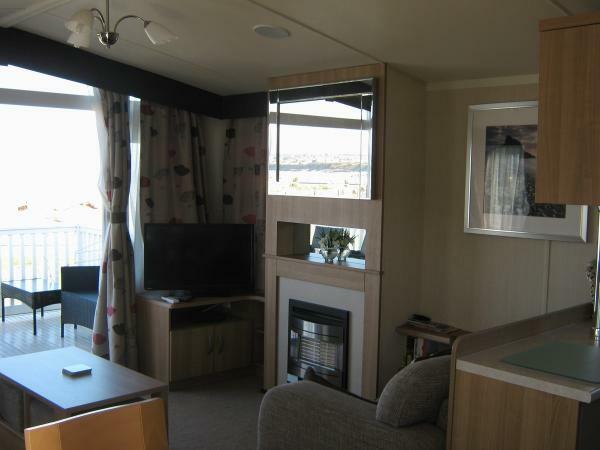 It was lovely, well equipped and comfortable and on the seafront. Just shame about the weather. Thank you Terry for a lovely stay in your swift Bordeaux caravan. The caravan was very well equipped and clean. Great location in the park. Would 100% recommend. Hope to see you again one day! This was our second stay in one of Terry & Julie's caravans and we have every intention of booking again. From the booking process through to the holiday it was fantastic. Terry and Julie go above and beyond to make sure that your stay is the best it possibly can be from tea, coffee, milk and biscuits awaiting your arrival ( always a welcome treat) beds made up and fresh clean towels. 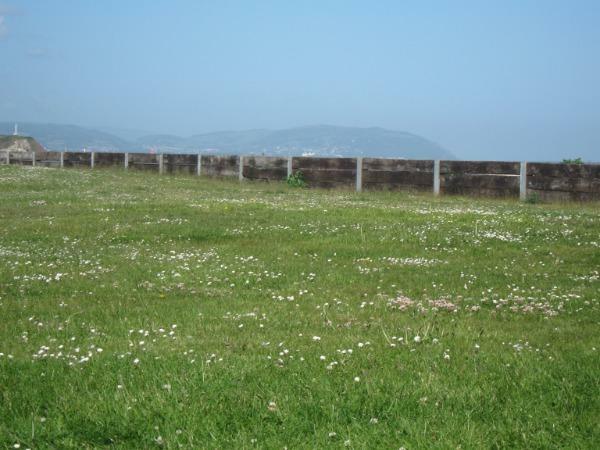 The location of the caravan is perfect with sea views and close to all the amenities. The caravan itself was clean and roomy and our teens loved the built in Bluetooth speakers. Having 2 verandas also meant you could enjoy the sun all day with a good book or a glass of vino. We cannot rate the caravan or the helpfulness of the owners enough, highly recommend. This is my second stay in Terry's lovely caravan , having come at the same time last year . I was so impressed with the caravan , facilities and location that I decided to bring my son and daughter in law plus our 3 dogs this year . Terry welcomed us and made us feel very at home , the caravan is perfect for all our needs . My family can't wait to come again next year . Thank you terry . Lovely modern caravan in a great position. Great for our 2 dogs as it had an enclosed verandah and was a few steps to the field for letting them have a good run. Would have loved to sit outside but we picked one of the windy weeks of this summer. The location was very good, it was nice and quiet but close enough to the facilities. Thank you Marian and Bas. Yes not the best of Summers was it. Still I'm pleased that it hasn't put you off returning next year. This was our first time stopping in Terry and Julie's caravan. Good communication via e-mail during the booking of the caravan. Terry was always helpful and answered any queries or questions. Upon arrival to the caravan tea, sugar, coffee, milk and biscuits were provided a nice added touch after a long journey. The caravan was very clean and tidy The view from the caravan was amazing showing farm animals, a field and hills. The field was great for walking the dog and just a few steps away. All beds were made, towels and tea towels were provided. This was great so we didn't have to carry extra linen. The caravan was equipped with a fridge and a freezer . This was great so you could store more food without having to keep going to the shops. A clothes Airer was provided great for those wet towels and other items. Patio furniture was also provided and a BBQ. although we didn't use it on this occasion has weather a bit windy. This has got to be the best caravan we have stopped in and would definitely stay in this van again. Its amazing. The caravan was better than I could've imagined, spotlessly clean too. Best thing was that the main ensuite bedroom was at the other end than the kids rooms!! No other caravans overlooking the decking area was great too. Added bonus was the great bbq. Had such a great holiday that none of us wanted to leave!! We would love to return sometime. Thanks Terry. We always stay in terry and julie vans, as we have tried others but they are not so accommodating with our needs. all of there vans are clean well presented and has everything you could need and more. we holiday in there vans at least 4 times a year and every time is special. this van has amazing views of hills, fields, wildlife, farm animals, sea. as well as being close enough to club and shops. own little garden, patio, patio furniture and a really great BBQ. love the van its my favourite of all. Thank you so much Colin and Wendy so pleased you like the new caravan. See you again quite soon I believe.